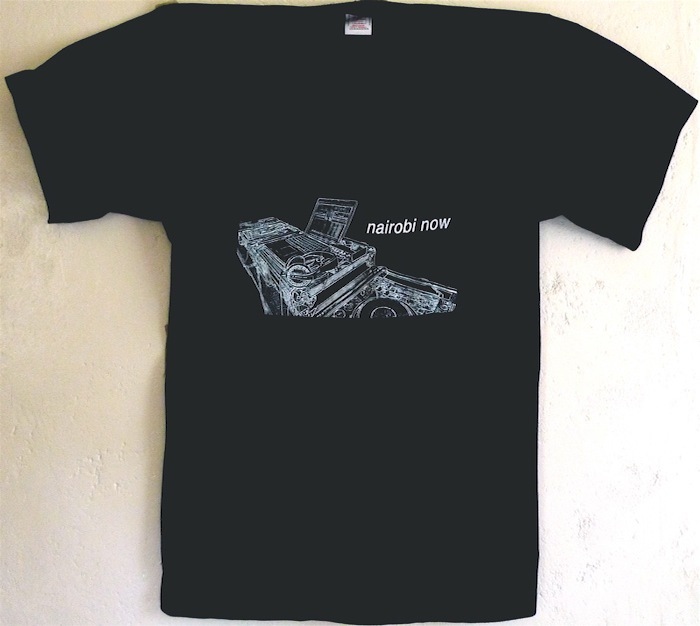 Please support Nairobi Now by buying one of our t-shirts. Have a look at the pictures below for the designs – we promise you, anyone who bought them just love them and come back for more! Its very artistic , i like it and id like to have one, a turquoise one. thank, suzie – the turquoise one is yours! Ugo..I like it! me I want a white one….or maybe the red? can i see them and then choose? if you can bring them to the opening of the exhibition tomorrow or to J’s house, I’ll decide which one i want…cool? Sorry ran out of red ones, but will bring white ones and all the boy t-shirts with me tomorrow so you can choose! can I still get one this late? A lady’s tee I mean? 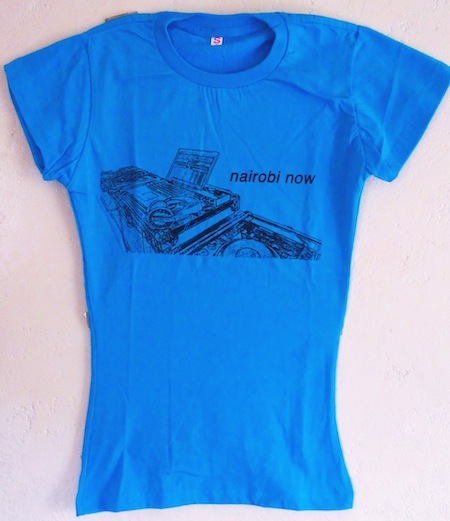 Have you thought about printing a “Nairobi Now” kanga? 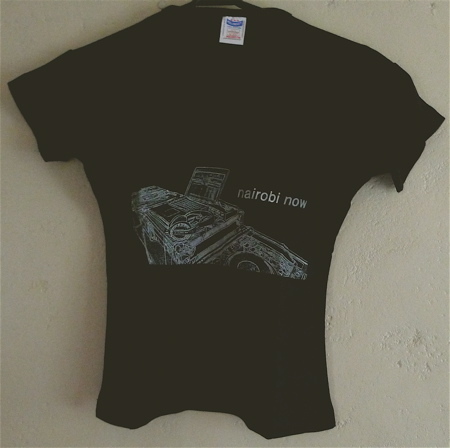 Hi, since you expressed an interest in Nairobi Now’s t-shirts in the past, I would like to inform you that they are now available again! As for Kangas, it is a great idea, and we might explore it in the near future…Thanks! These T shirts are slick indeed. I’ll be spreading the nairobinow word in the US of A. They look so good how can i get one? @lionel: apologies, we hadn’t seen your comment! 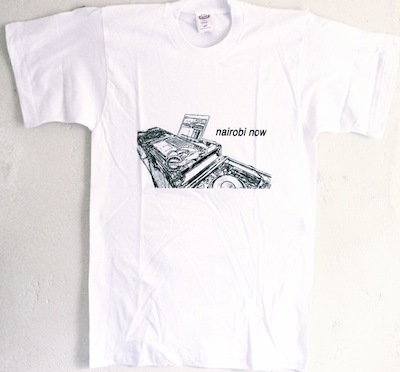 please get in touch with us at nairobinow@gmail.com and we can get you one! how much do they go for?cool stuff! The t-shirts go for 1000ksh, we could give you a discount if you wanted more than one! those tshoz are cool,nice work.ok lemmi ask wenz tha next wapi event,whats the theme and how do i participate? Do you sell plain t-shirts to people who do the printing for themselves? Hey! I would like one (turquiose, small), but I live currently in the Netherlands. Can you ship it? 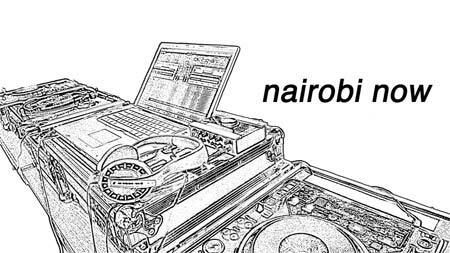 I’ll be in Nairobi again in September though, so maybe I can pick it up then! hellow sory.is this manga t-shirt?